AR Concrete Pumping is a concrete pumping company that has been operating in Manitoba for over 25 years. They have the largest pump truck in the area and a fleet of 13 units. The building design is a Behlen frameless structure which means there are no frames on the interior, thus generating more useable space for equipment and storage. 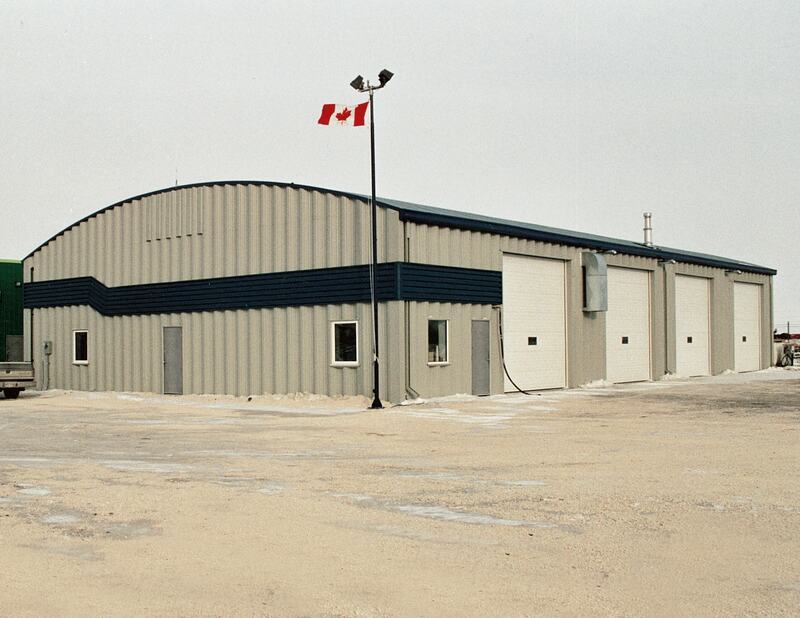 This simple structure was designed with offices, washrooms and a warehouse area. The galvanized roof and the accent strip along the side of this structure, create a nice sharp contrast against the light grey cladding.